Many states have already had or are soon holding their primary elections. 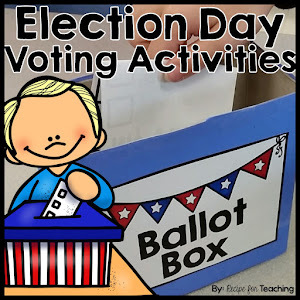 I wanted to create a fun lesson for my students that went along with the election and voting. I think it is important to connect real world events to my classroom whenever possible. Voting also goes along perfectly with math concepts. A lot of great math discussion stems from a class vote. We had so much fun with our "Election Day" voting fun in kindergarten! The first thing I did was make a "Ballot Box." This is actually a Pop-Tart box, but Kleenex boxes would work great as well! I covered it in blue construction paper and glued the label on it. 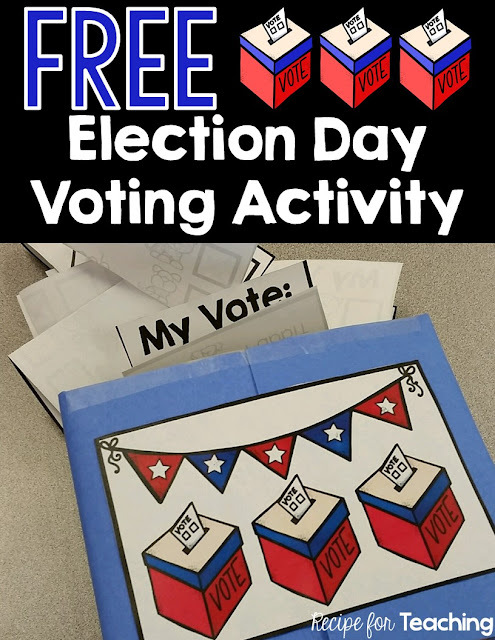 I also cut out the ballot cards for my students. I explained to my students that they would be voting for their favorite animal on their ballot: cat, dog, monkey, or rabbit. I told them they can only mark one choice. I also told them they didn't even have to write their name on it because it's a private vote! They folded their ballot and dropped it in the box! I had a student helper who pulled the ballots out of the box and read the votes for the class. As the student helper pulled the ballots out of the box, I tallied the votes on our chart. We then discussed the data as a class. **My kids were extremely excited to see that the word VOTE has a silent e!!! Then I had my students do some writing about our class data. I try to connect writing across all subjects whenever possible. Writing is really something that shows if they are taking the skills learned in reading and applying them. Seriously, how AMAZING are they at writing?!?!?! I love giving my students the chance to write because they all come up with different ways to share the information. We shared our writing after everyone finished. They are always so excited to share and it is a great time for students to practice their speaking and listening skills. We talk about using a strong speaking voice and not holding our paper in front of our face when we share. And everyone got an "I Voted" card since they participated in our class vote! 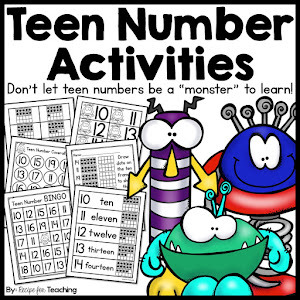 This activity was so fun and extremely engaging for my students. They loved it and did an awesome job! 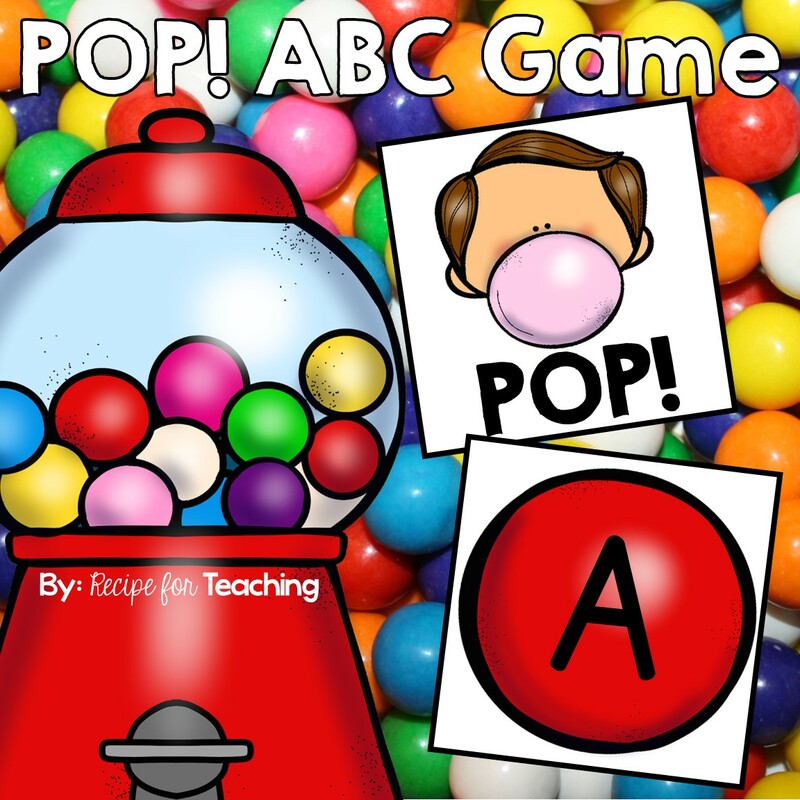 If you want to grab this activity to use with your students, I have made a FREE download that includes the animal ballots, the animal labels to make a voting chart, and the writing paper for students to write about the class data. Just click the image to grab your FREE download! 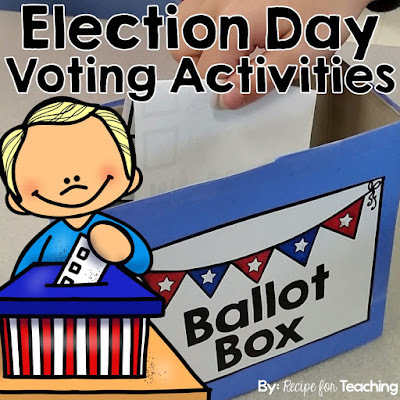 If you love this free download, check out the full Election Day Voting Activities resource in my Teachers Pay Teacher Store. 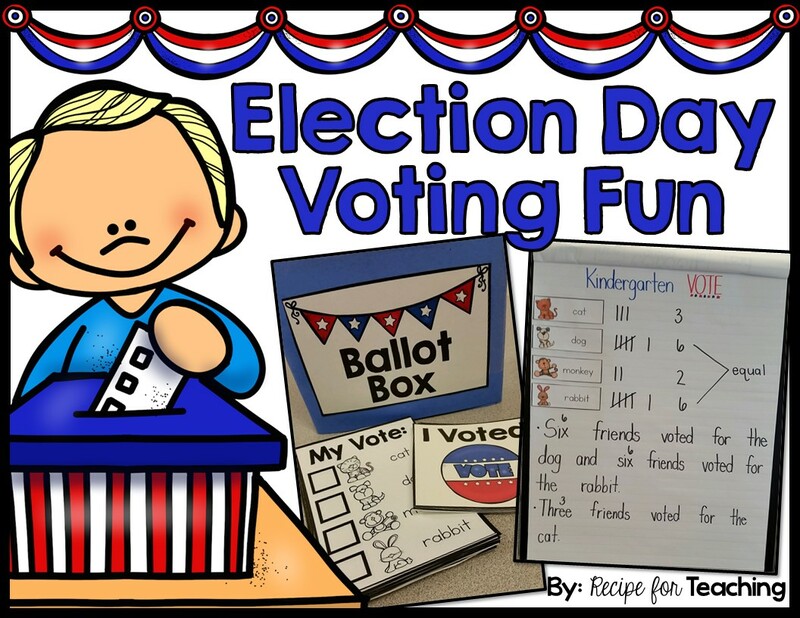 This resource includes 5 voting ballots, voting chart labels, writing pages, "I Voted" cards, and the labels for a ballot box. You can check it out by clicking the image below.